What is really behind this sport? As the name suggests, Paraski has emerged from a combination of two amazing sports - skiing and parachuting. These are two separate and independent disciplines whereby the results achieved in each discipline is combined, similar to that of Nordic combined. 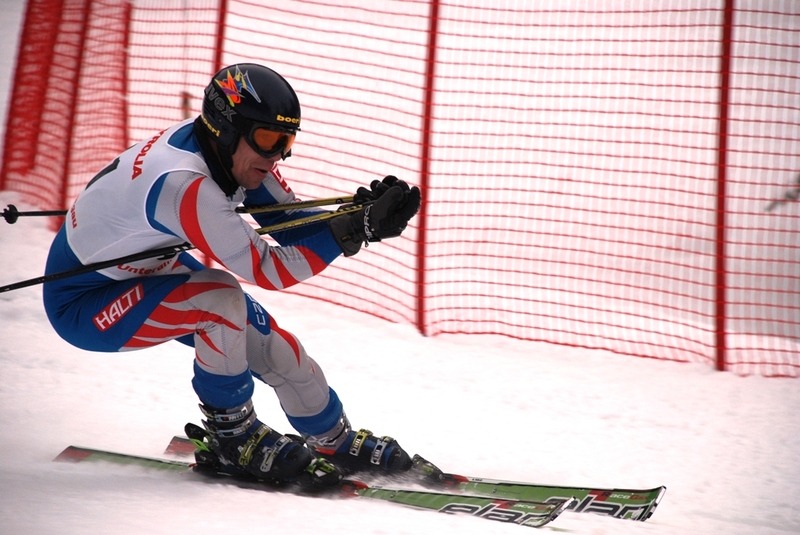 Competitors contend for victory on the Giant Slalom course under FIS (International Ski Federation) regulations. This means that the course is of similar length and difficulty to that seen at World Cup competitions. Results for this event: every second behind the fastest downhill time is equal to that of 3cm added to the parachuting discipline. Jumps are undertaken over mountainous terrain from helicopters from a height of 1 000m above the terrain. 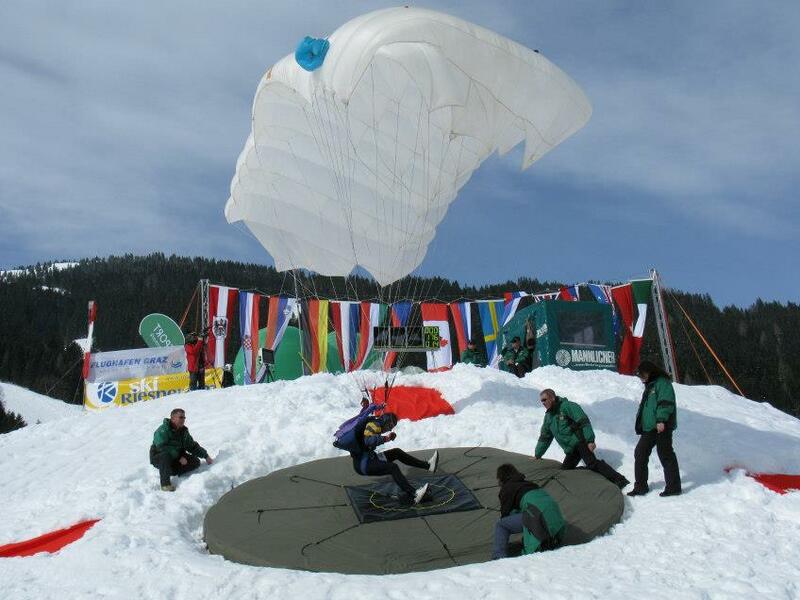 Competitors aim to land on a landing pad with a diameter of 4-5m. The centre of the landing pad has a 32cm electronic measuring device with the so-called ‘absolute zero’ – measuring just 2cm – directly at its centre. Results are measured based on the parachutist’s first contact with the landing pad, with the parachutist aiming to land as close as possible to this ‘absolute zero’, ideally directly on the zero point. The landing pad must be located on a slope with a minimum inclination of 35% in accordance with FAI (International Aeronautical Federation) regulations which, combined with ever-changing mountain conditions, makes for a challenging and precision event for parachutists as they skillfully maneuver their parachutes above the landing pad to achieve the best possible result. Paraski is a fairly new discipline of parachuting and in its own right can be considered supreme. Accurate jumps over mountainous terrain, the precision handling of the parachute above the centre of the electronic landing pad and great results require the precise maneuvering of the parachute combined with the astute ability to read wind conditions, weather patterns and air flow in mountainous terrain. The Czech Paraski Team is amongst the top teams in the world in this fascinating sport and has completed thousands of successful jumps. Also, they present themselves at various sporting and cultural events across the country as part of the air shows as well as at other promotional events.